The Grain Inspection, Packers & Stockyards Administration (GIPSA) regulates and enforces competitive conditions in the grain and livestock industry. Through the use of oversight, inspection, analysis, auditing, price protection and payment programs, the agency is responsible for ensure fair trade and competitive market practices in livestock, poultry, meat, cereals and grains, oilseeds, and related agricultural products. The GIPSA Packers & Stockyards Program (P&SP) regulates competitive conditions in meat and livestock markets, while the GIPSA Federal Grain Inspection Service (FGIS) covers inspection, standardization, quality assessment of grain, and related products. GIPSA’s Packers & Stockyards Program has come under significant criticism in the last decade for failure or incompetence in enforcement. In response, the U.S. Department of Agriculture (USDA) has issued several reports analyzing deficiencies in the agency’s operations, particularly enforcement of anti-competition legislation. In 2010, the Obama administration proposed changes to buying rules as required by the 2008 Farm Bill that raised objections from the largest agribusiness companies over the way that hogs, cattle, and poultry are bought and sold. The proposed changes, were they fully implemented, would have curbed the power of big packers such as Tyson Foods and Cargill Inc., in their ability to control the prices paid to producers of such livestock. They would also have provided poultry growers and cattle farmers with new protections against larger agribusiness operations, including making it easier for livestock raisers to sue industry giants that control the nation’s meat markets. Those changes were gutted by amendment in 2012. The Obama administration's first GIPSA Administrator, J. Dudley Butler, faced much criticism among agribusiness interests for leading the proposed GIPSA reforms. In particular, he earned the enmity of the big four in the meat slaughterhouse and packing industry: Tyson Foods, JBS, Cargill, and National Beef by investigating the possibility that they have been illegally or, at least, unfairly driving down cattle prices. 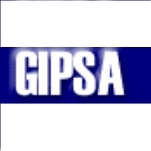 The Grain Inspection, Packers & Stockyards Administration (GIPSA) was established in 1994 under authority of the Agriculture Reorganization Act of 1994. The agency merged two previously independent agencies: the Federal Grain Inspection Service (FGIS) and the Packers and Stockyards Administration. Congress established the FGIS in 1976 to manage the national grain inspection system and institute a national grain weighing program, with the objective of developing and maintaining uniform national standards, inspection procedures for grain in domestic and export trade, and grain marketing. The Packers and Stockyards Administration was established in 1921 to regulate livestock marketing and operations of meat packers and live poultry dealers. The Grain Inspection, Packers & Stockyards Administration (GIPSA) investigates complaints about anti-competitive practices and enforces the operation and accuracy of scales for weighing livestock, meat, and poultry in addition to regulating the grain markets to ensure that entities that provide grain inspection and weighing services are standardized and that their commodity handling is sound. The agency also ensures that sellers are paid promptly for their commodities and that the goods are weighed accurately. In addition to enforcement, the administration also performs research and development studies on the evaluation of grain inspection methods and develops rapid tests and test kits to detect, for example, biotechnologically derived grains. The agency also collects data and performs research on the packers and stockyard industry, conduct, and performance. The GIPSA also provides international assistance for global customers, including briefings to international trade delegations and visits to the agency’s offices. International buyers can also report grain weight or quality discrepancies via the Foreign Agricultural Service representative at U.S. embassies around the world, which the agency will then investigate, sometimes using collaborative studies. Stakeholders include a spectrum of producers and consumers, middlemen, and farm-state politicians, cattle ranchers, as well as poultry, hog, lamb, beef and pork producers, and packaging firms. There has only been one grant given in the history of the Grain Inspection, Packers & Stockyards Administration (GIPSA), $50,000 to the Tennessee Wildlife Resources Agency, according to a query of USAspending.gov. The FY 2013 proposed budget (pdf) asks for $42.7 million in funding—all in salaries and expenses—$22.4 million for the Packers and Stockyards Program and $17.8 million for the Grain Regulatory Program. Lawmakers proposed an agricultural amendment in July 2012 that would gut protections for farmers when dealing with the livestock industry. Added to the Federal Agriculture Reform and Risk Management Act (FARRM) was a provision that critics said would weaken a rule adopted the previous year by the Grain Inspection, Packers and Stockyards Administration (GIPSA). Authors of the amendment, Representatives Michael Conaway (R-Texas) and Jim Costa (D-California), said it was necessary to rein in the so-called GIPSA rule, which livestock owners complained about. Among other things, the amendment meant that meat packers would not have to justify preferential pricing favoring one rancher over another. Poultry growers blasted the changes, saying it would once again leave them vulnerable to exploitative contracts by the industry. Opponents of the amendment included the National Farmers Union, American Farm Bureau Federation, and more than 100 farmer, consumer, and community organizations. Many producers have taken issue with this requirement that makes retailers provide country of origin labeling for fresh beef, pork, and lamb. Criticism of the agency has centered on its ineffectiveness in enforcing anti-competitive laws and regulating livestock markets, which are considered by many in the industries to be manipulated and opaque. The USDA has studied the market’s structure; both on its own and in response to congressional directives, but producers still complain that prices are controlled by an ever-decreasing number of meatpackers. Proponents of reform argue that the consolidation of market power in a few highly integrated firms has negative effects on competition, and is harmful to consumers and especially independent producers. A USDA study released in 2007 examined alternative marketing arrangements (AMAs) following complaints that prices offered by packers in AMAs, which include all possible uses of cash or spot markets in transactions, were resulting in reduced income for livestock producers. Among the questions the study set out to answer were: what types of marketing arrangements are used, their extent, terms, and characteristics, the reasons firms enter into these various arrangements, and their effect on participants and the livestock and meat marketing system as a whole. The interim report issued in 2005 provided descriptive information on each species, its marketing system, AMAs, and economic analysis measuring both their positive and negative impacts on markets. The report’s final release in 2007 found that AMAs provide a constant flow of livestock to packers and provided guaranteed market access and risk management opportunities for producers—and that restrictions on the use of AMAs would result in a negative economic impact on producers, consumers and the middleman. Congress had funded a similar study in 1993, before the actual forming of the agency, and after certain farm-state legislators expressed suspicions that packing consolidation of market power with packers was driving prices down and possibly driving consumer prices up. The report found little evidence of economic impact on producer or consumer prices. The associated senators and congressmen discredited the results before they were published in 1996, and many of the land-grant agriculture economists who worked on the study were disqualified from conducting the 2003 study—which was given to RTI International and whose lead economists came from the Wharton School of Business. In January 2006 the USDA’s Office of the Inspector General issued a report evaluating GIPSA’s mismanagement, particularly in the P&SP, which has been widely criticized as inefficient in its duties in enforcing the PSA and anti-competitive laws. The report was in response to concerns raised by a Senator Tom Harkin (D-Iowa) in 2005 on possible inflation of actual investigations conduct by the competition division in annual GIPSA reports—to suggest a higher rate of enforcement activity. The report confirmed accusations that top officials had intentionally blocked investigations by refusing to provide clearance for employees to conduct investigations and inflating the number of investigations to give the misleading appearance that the agency was responding to pressures to clamp down on anti-competitive practices and market concentration. The report identified three areas of material weaknesses: defining and tracking investigations, planning and conducting competition and complex investigations, and making agency policy. Additionally, it said the agency had not taken sufficient actions to strengthen operations in response to a finding previously reported by the Office of Inspector General in 1997 and the Government Accountability Organization (GAO) in 2000. In 1997 the USDA report on GIPSA monitoring revealed that the agency had inadequate resources for proper monitoring, while the following year, they reported GIPSA had implemented major reorganization of P&SP to improve handling of concerns over anti-competitive activity. Terry Van Doren grew up on a grain and livestock farm in Macoupin County, Illinois. He graduated from the University of Illinois in 1994 with a bachelor’s degree in Animal Sciences and received a master’s degree in Agricultural Sciences from Colorado State University in 1996. After graduation, Van Doren was active in agricultural policy, serving as Associate Director of Agricultural Policy for the National Cattlemen’s Beef Association. In 1999, he joined the staff of U.S. Senator Peter G. Fitzgerald of Illinois. Van Doren first served as Agriculture Subcommittee Staff Director and later as Senator Fitzgerald’s Legislative Director. Van Doren joined the USDA in 2005 to work on research, education and economic policy issues and then as senior adviser to the under secretary for Marketing and Regulatory Programs. He took a one-year leave of absence from USDA in 2007 to work for U.S. Senate Republican Leader Mitch McConnell during the development of the 2008 Farm Bill—the five-year reauthorization of U.S. farm, conservation, rural development, and nutrition policy. In 2008, Van Doren was named Administrator of GIPSA. He left in 2008 to serve as the Legislative Director for former USDA Secretary and current U.S. Senator Mike Johanns (R-Nebraska). Former GIPSA Administrator Jim Link left this position after being appointed Administrator of USDA’s Agricultural Marketing Service in 2009. Is is unlawful for a Meat Broker to use American Express Gift Checks to entice meat market managers to purchase their products or as an incentive to purchase more of a certain companies items? Agriculture Secretary Tom Vilsack appointed Lawrence “Larry” Mitchell to be administrator of the Grain Inspection, Packers and Stockyard Administration (GIPSA) on June 3, 2012. Created in 1994, GIPSA is supposed to regulate the grain and livestock industries—not an easy task, considering the financial power of the largest agribusiness companies. Mitchell is a fifth-generation Texas farmer. He graduated from Arlington High School in 1974 and went first to Weatherford College, then to Tarleton State University in Stephenville, Texas, earning a B.S. in Plant and Soil Science in 1978. He’d begun working on his family’s farm in earnest in 1971 and continued doing so after college, eventually splitting off with his own operation. He farmed grains, cotton and hay and raised horses and cattle until joining the American Agricultural Movement in 1989. He served the organization of mostly small farmers as director of federal and state relations and editor from Washington. In 1994, Mitchell was named vice president of government relations for the National Farmers Union, an organization that represents family farmers and has fought for standards for organic foods, country-of-origin labeling and other issues. Mitchell joined President Bill Clinton’s administration in 1997 to serve as deputy administrator of farm programs in the U.S. Department of Agriculture’s (USDA) Farm Service Agency. He also served for a time as a legislative liaison in the Office of Public Affairs. Mitchell left federal service in 2001 to become chief executive officer of the American Corn Growers Association, which represents primarily smaller farms. In 2007, he co-founded KSC&W, a lobbying firm and in 2009 he deregistered as a lobbyist and became president of K Street Research, an organization that does research for companies interested in government work but avoids some restrictions placed on lobbyists. In 2011, Mitchell returned to government as associate director of the USDA’s Office of Advocacy and Outreach, a job he held until taking over his current post. J. 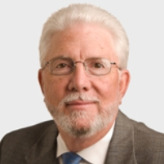 (John) Dudley Butler, a longtime attorney from Mississippi, took over as administrator of the Grain Inspection, Packers and Stockyards Administration (GIPSA) on May 11, 2009, following his appointment by Secretary of Agriculture Tom Vilsack. During his tenure, he created alarm among agribusiness interests for attempting to level the playing field between farmers and ranchers on one side and big stockyards and meat processors on the other. In particular, he has earned the enmity of the big four in the meat slaughterhouse and packing industry: Tyson Foods; JBS, Cargill and National Beef by investigating the possibility that they have been illegally or, at least, unfairly driven down cattle prices. The son of George William Butler and Charlie Taylor Ming Butler, Butler grew up in Batesville, Mississippi. He began his career serving as a legislative assistant for Democratic Governor Charles Clifton “Cliff” Finch, who served Mississippi from 1976-1980. Finch was later named attorney and special assistant to the commissioner of the Mississippi Department of Corrections, where he was responsible for legal work and proposed legislation. He also served as a liaison to the legislature and was responsible for various executive management duties assigned by the commissioner. Although his official biography makes no mention of Butler attending university, he joined the Mississippi Bar in 1975 and has been an attorney for more than three decades and is a certified mediator and arbitrator He’s also been involved in cattle, timber, and farming operations, and in the 1980s and 1990s owned cattle in Wyoming and traded cattle in states including Texas, Oklahoma, Colorado, Montana, Nebraska and Utah. In court, he represented poultry growers against processors. Before his appointment to head GIPSA, Butler was a lawyer in the Butler Farm and Ranch Law Group in Canton, Mississippi. He has testified before Congress on matters involving agriculture and arbitration and served on a mandatory price reporting task force that led to the passage of the Livestock Mandatory Reporting Act of 1999. Butler has served as a Mississippi bar commissioner, co-chairman of its Arbitration Committee and as a member of the Bench/Bar Liaison Committee of the Mississippi Bar. He was a member of R-CALF USA (Ranchers-Cattlemen Action Legal Fund, United Stockgrowers of America) and a founding member of the Organization for Competitive Markets, an anti-trust non-profit group. When Butler took charge of GIPSA, he vowed to enforce the 1921 Packers and Stockyard Act, which was intended to protect livestock and poultry producers against unfair practices by stockyards, commission firms, livestock auctions, order buyers, livestock dealers, meat packers, meat brokers, meat wholesalers and distributors, among others. Under Butler’s guidance, GIPSA issued a controversial set of regulations in 2010 that, among other things, would provide poultry growers and cattle farmers with new protections against larger agribusiness operations, including making it easier for livestock raisers to sue industry giants that control the nation’s meat markets. Butler contributed $300 to Barack Obama’s 2008 presidential campaign.